This past winter seemed especially long. Even after spring break, I was still pulling out my tall boots to stay warm. When the sun finally came out this past week, I was lucky to try out two new pairs of shoes from Chaco. The company sent over the two styles I’ve had my eyes on since last fall. I was excited to see how the shoes would fit and look. My biggest helper in trying out the sandals was Samantha, who gave me her best style advice and took the photos. Since my whole family wears Chacos, it was fun to involve the family in the review. 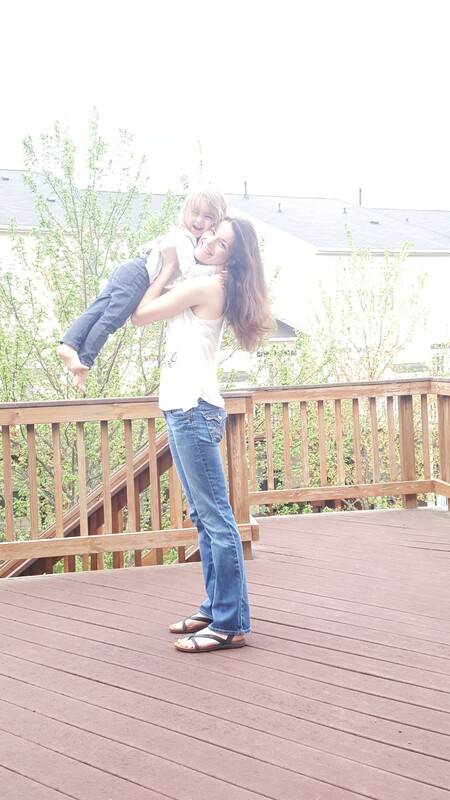 When I woke up on a Saturday morning, I asked my daughter if my Sofia sandals would look good with my skinny jeans. Since the shoes have an ankle strap, I was contemplating the most flattering way to wear them. This was duly noted, but I didn’t own a pair of casual black pants. I tossed on a pair of slightly flared jeans instead, hoping this would get a better reaction. “Is this better, Samantha?” I asked. “Much better,” She said with an air of calm self-confidence. The sandals were incredibly comfortable. I have never worn Chacos that had such a soft sole before. The material was smooth as well as supportive. Another reason I loved the shoes was that the fit was just right. I got a half size up, and I had just enough room. Usually thong sandals can be irritating, but the style of these was great. As I went downstairs, I realized it would be a rush to get a photo for my review before heading out the door to Georgiana’s dance practice. I had enough time to get a snapshot of my feet. The weather was nice, but it looked like it might rain soon. Since my older daughter has shown a recent interest in blogging with me, I asked if she wouldn’t mind getting a photo with my cell phone. When my younger decided to get in the shot, it seemed perfect, considering that Mother’s Day is around the corner! As the wind blew and a couple raindrops fell, Samantha snapped a few photos. She ended up catching a neat photo effect as well as two huge smiles. After breakfast, it was time to head to dance class. I put on my ToeCoop shoes. These shoes have a sandal heel and a covered toe made out of a soft, supple leather. By the time I arrived, it had started to pour. I had forgotten to grab a jacket so I was happy these shoes kept my feet warm. Another thing I loved about these shoes was that the heel has the high quality, LUVSEAT footbed. My feet felt supported without too much arch support. The style was very nice. I appreciate having shoes I can wear to casual events, outdoor activities, and nicer occasions. Spring is a great time for new shoes. As a mom, I don’t often treat myself since my kids go first. These shoes were the nicest treat. I love having a new, updated look for the new season. It’s also wonderful how practical these shoes are. I look forward to wearing them for many different occasions. What is your favorite style of sandals? Share in the comments section below! For more style tips, follow Theresa’s Reviews on Facebook, Twitter, Pinterest, Instagram, Flipboard and Youtube. I love open toe shoes. They are comfortable and looks stylish! Huge fan of chacos! What is your toe polish color? Love it! Yes I love open-toe season. I actually wear open toe shoes all year round I hate having my toes closed up all the time! Those sandals are gorgeous! Love the strappy details and best of all, looks so comfortable! I love those strappy sandals. It’s not quite warm enough here, but I can’t wait until it is. I love a good sandal! I finally feel like I am stocked up on sandals for the spring and summer season, and I don’t need to look or buy anything else. Alas, I did just buy new wedges last week. SIgh…the struggle. LOVE those open toed sandals, they are gorgeous! This was fate. 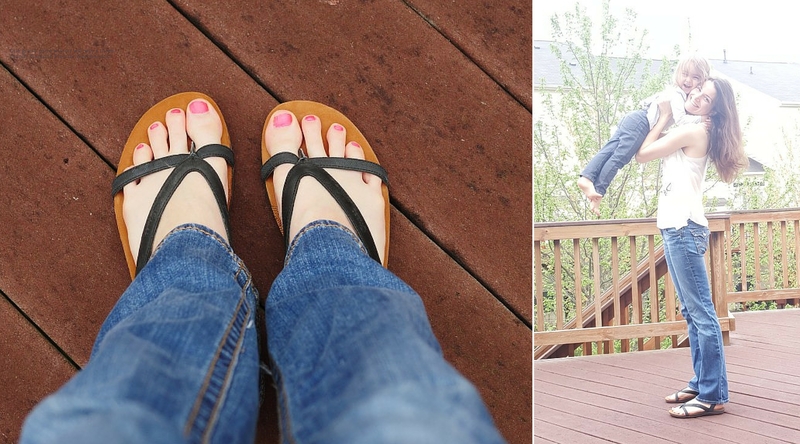 I love my chacos but needed a new pair – how random to stumble across this post! I love open toe shoes! Sandals are definitely one of my obsessions. This winter I purchased the Chaco boots and fell in love, since then I also got some sandals and I’m super excited the weather is finally warm enough to wear them! YAY for sandal season! I was actually just looking at a pair similar to those strappy sandals. The sandals that I love most are Fit Flops. Not because of the exercise properties but because I love the big, thick heels. Cute shoes? Love that toe color! I live in Puerto Rico, it is sandal time all year! I really like the ToeCoop shoes. They look like you could wear them almost any season. I have a favorite pair of black Nike sandals that decidedly match nearly everything. They’re my go to pair all summer long!